The New Year is upon us and we have not skipped a beat here in Tampa Bay. 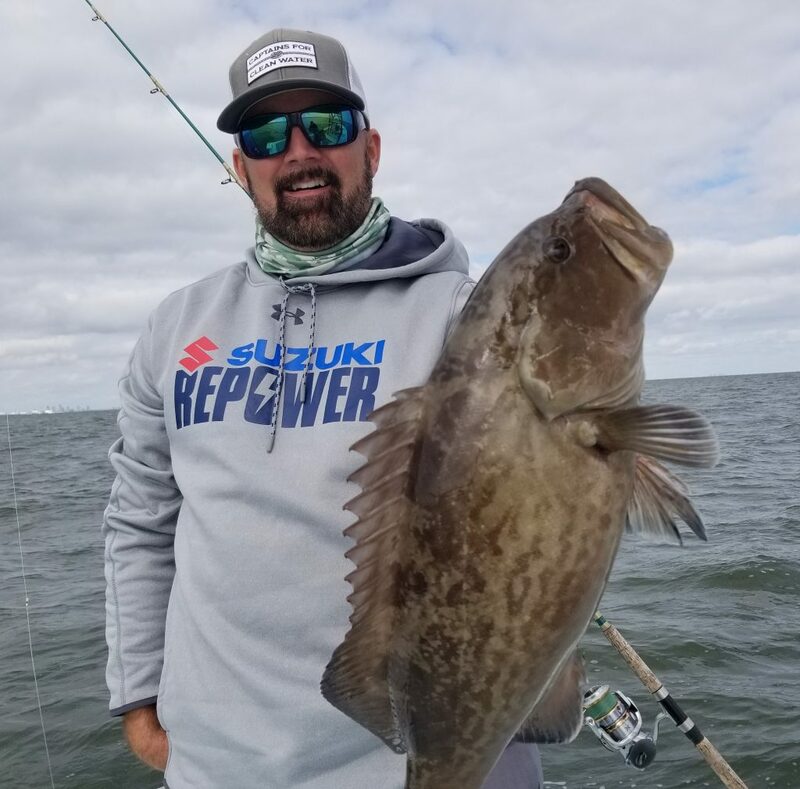 We closed out 2018 with a strong finish catching some quality gag grouper and for fishing in the new year have now shifted our efforts back inshore. January fishing is always dependent on the weather and fishing around the fronts is key. 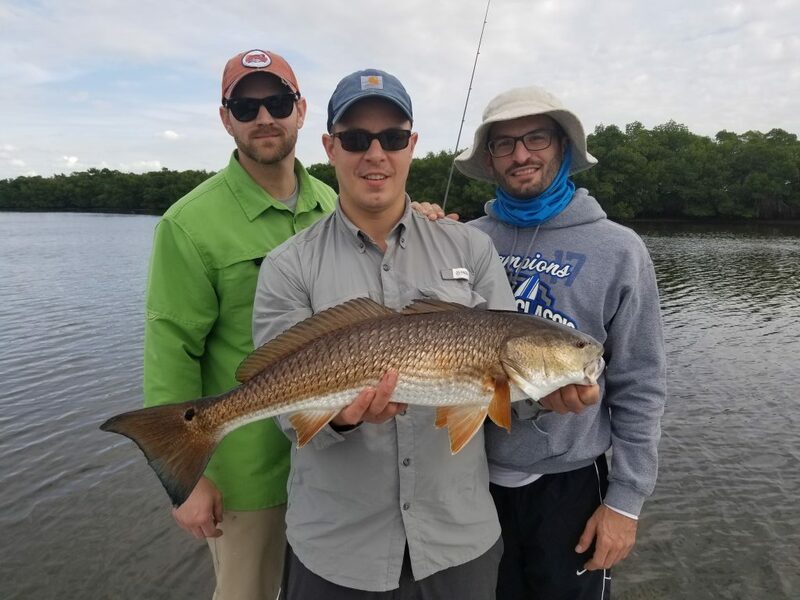 Lately, we have taken advantage of using live bait and targeting snook, redfish, and trout in the back country bays, residential canals, and muddy creek bottoms. Fortunately, we have still been able to find a fair supply of pilchards available although some days are tougher than others to get it. Water temperature, tides, wind, and water clarity this time of year can make catching bait more challenging than catching gamefish at times. 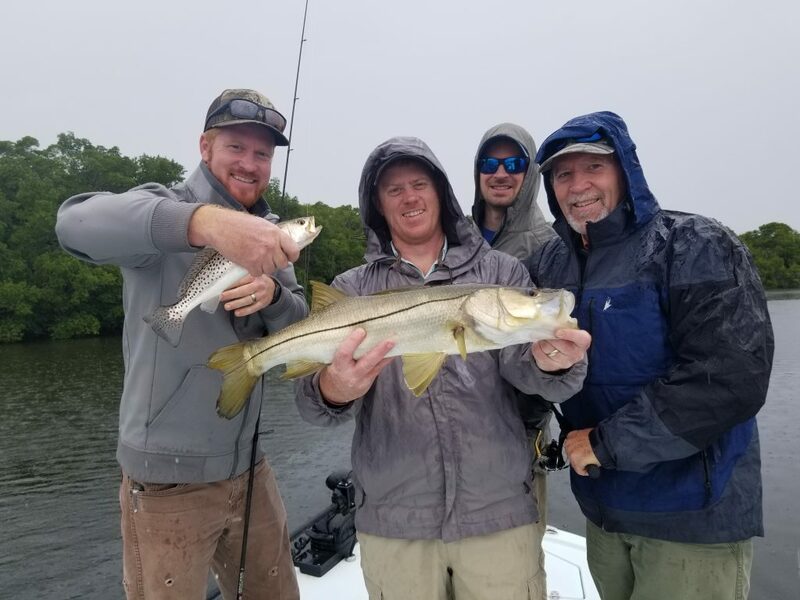 Once loaded down with bait, we have been fishing for snook in residential canals and deeper channel edges in the river systems. On the colder days, look for these fish to be staged up in the deepest parts with mud or oyster bottom. On the warmer days, focus on shallow sand banks or mangrove shorelines as they seek warmth from the day’s sunlight. Redfish aren’t quite as temperamental through the cooler months and can still be found roaming the shallow flats. Although there are some around, don’t expect to find any significant schools of fish. Typically, they are found spread out along an area or shoreline in pairs or singles. Working a healthy grass flat with scattered potholes is a great way to catch a handful of reds. A live pilchard is the bait of choice, but a select shrimp won’t be turned away either. If you are looking for action, the trout bite is where its at. Much like the redfish, speckled sea trout don’t mind the cold and we have been catching them in good numbers so far this year. We have been focusing on the back bays, channels, and drop offs along the sandbars in 3-6 ft of water. A sure key to catching numbers on trout is flow. They tend to congregate in areas that have decent tide flow. Alive pilchard can certainly increase your success but as mentioned above and sometimes preferred, a live shrimp will catch them just fine. One of my favorites is a select shrimp under a canjun thunder popping cork. I like tail hooking the shrimp about 30” under the float and let it drift freely in the current. An occasional twitch/pop is what I recommend as this will attract fish that are near to feed. Remember, trout have very soft mouths and sometimes a little finesse is needed to get them landed. Try loosening up your drag as this will help to keep from pulling hooks. Tight lines, stay warm and work the bite.